A twenty-two year-old Student of Rufus Giwa Polytechnic, Owo (RUGIPO) in Ondo State, Chukwudi Oweniwe has been arrested for allegedly killing his girlfriend, Miss Nifemi Adeyeye in a bush at Ilu-Abo, in Akure North local government area of Ondo State early this month. Chukwudi and Nifemi were both Part-Time students of the department of Science and Laboratory Technology (SLT). The suspect, who lives in Ayede-Ogbese was said to have invited the deceased to his place from their school and subsequently lured her into a bush in Ilu-Abo and killed her. He was alleged to have performed some ritual activities on her late girlfriend. However, when Chukwudi was speaking with reporters at the police command in Akure, the state capital when he was being paraded, he confessed to the crime but denied using the lady for ritual. 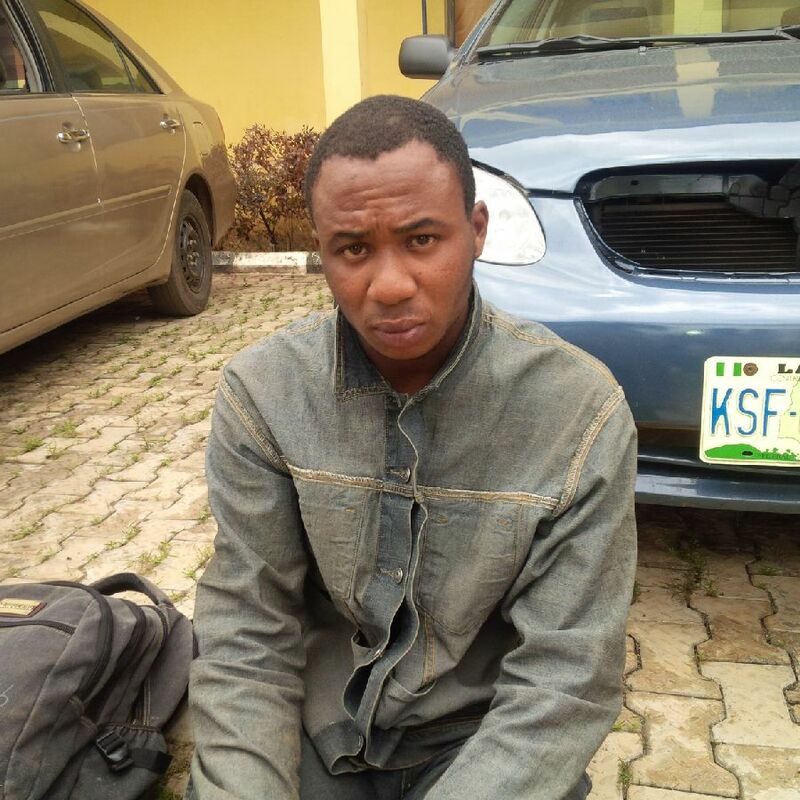 He narrated how he killed the lady saying “I invited her from Owo to Akure and after introducing her to my parents, I lured her into a bush and strangled her, leaving her body in the bush. “On the second day, I asked a commercial motorcycle rider to take me to the bush where I left her; I observed that she was not dead and I used a stoned to hit her head and she died immediately. “My parents became curious when they did not see her and I was arrested by Police in Ayede Ogbese and from there, they transferred me to anti-cultism in Akure”. When asked why he killed her girlfriend, Chukwudi said he did not know the spirit that came on him and that it was when he killed her that he realised that he had committed a sin. He also denied being a cultist. He said they had been dating since February this year and that she had never cheated on her. The State Police commissioner, Mrs. Hilda Ibifuro-Harrison said Nifemi’s remains were recovered in the bush by men of the Special Anti-cultism squad. She said the police were still investigating the matter to unravel the suspect’s action.